ZK Team is proud to announce that ZK 8.5 will be released on Oct. 31, 2017! And before this major release, we’d like to share you about our introductory walk-throughs. To help everyone gain a better understanding on the new features ZK 8.5 brings, we are hosting two public online sessions in November, one week after the release. The sign up is now open, come and book yourself a seat! In ZK 8 we combined the simplicity and security of the server-centric architecture with the beauty and dynamics of the evolving client-side technologies. The new ZK 8.5 carries the same idea forward and goes above and beyond. A major improvement on MVVM data-binding at client side made it easier to integrate advanced front-end technology in an even effortless way. New features like built-in Websocket and Fragment Component are available to smoothen the application development process. In addition, 24 brand new elegant themes provide a wide range of choices for different business needs. In the 1-hour Webex session we will provide a quick introduction on ZK 8.5’s main features, including Fragment Component, built-in Websocket, Splitlayout component, Source Map for WPD, browser history management and more! Seats are limited and available on a first-come, first-served basis, so register free today! *Those who have signed up successfully, please check your e-mail, you should have received a confirmation email and you will need to respond to the confirmation email to secure your seat and obtain Webex access information. do you know have a CE release also or only PE, EE? 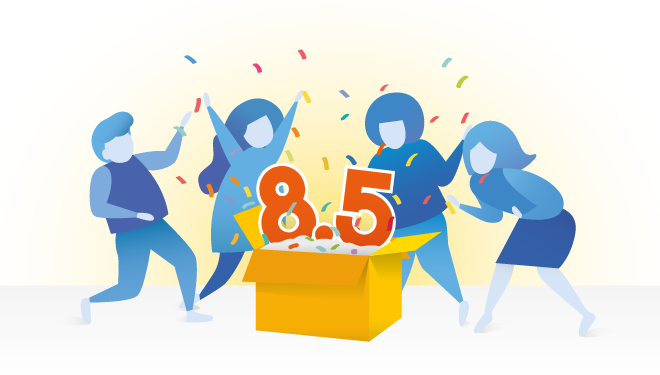 8.5 is available for all editions!